While I'm a little too late to tell you that these would make great stocking stuffers (they would), I might be right on time for a New Year's beauty resolution. These e.l.f. products have quickly become indispensable tools in my beauty regime. The Mascara and Shadow Shield is a lifesaver for someone like me. The only thing worse than under-eye darkness is glitttery under-eye darkness. No matter how careful I am, I always wind up with a pile of eyeshadow under my eyes. Place this little paddle-shaped tool under your eyes while applying eye make up... problem solved! I don't have to say too much about the Pointed Foundation Brush, but trust me, it's a total steal if there ever was one. The shape allows for precise application and the bristles clean easily. The Lip Exfoliator gently sloughs flaky lips, preparing them for lipstick and gloss. (Especially important if you're into the matte lipstick trend.) At this price, I have one in every corner of the house and in my makeup bag. $3 each. 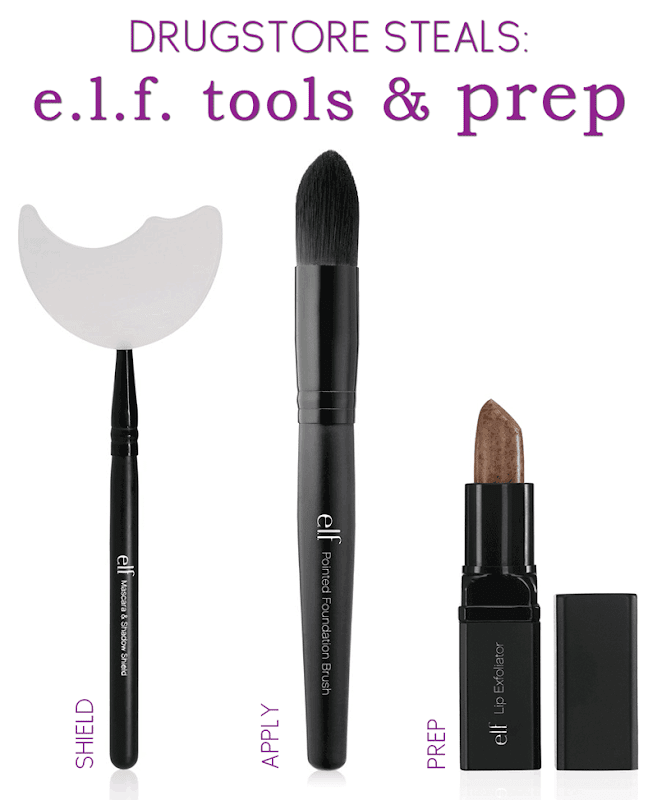 Available at Target, Drugstore.com & e.l.f.